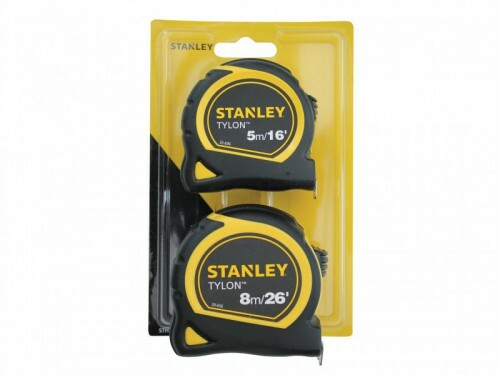 The Stanley Tools Tylon Tapes have a compact and ergonomic bi-material case for comfort and ease of use. The tylon coated blade provides greater durability and wear resistance than lacquer, whilst the matt finish blade reduces glare and reflection for easy reading. Fitted with a Tru Zero end hook that moves to compensate for accurate inside and outside measurements. Fitted with an integrated belt hook.